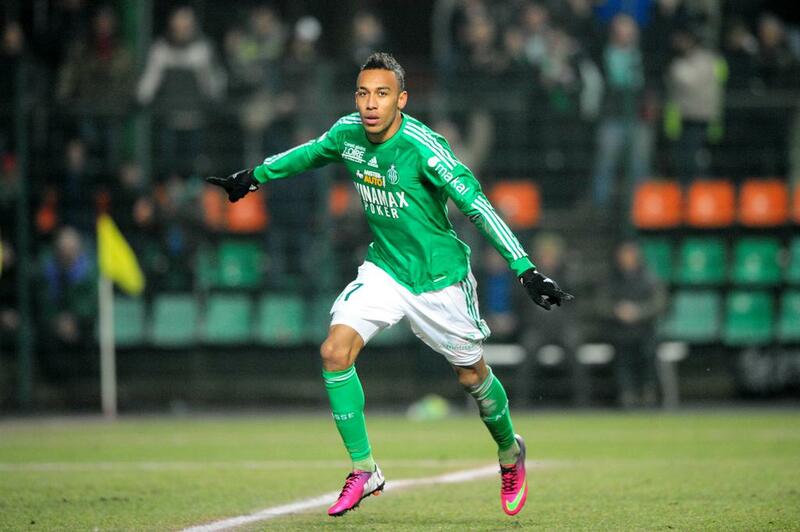 Saint-Etienne forward Pierre-Emerick Aubameyang has completed a move to Borussia Dortmund. The Gabon international was a reported target for a multitude of clubs including Newcastle United as well as mega rich AS Monaco, but has ultimately swapped France for Germany after Etienne and Dortmund agreed a fee in the last couple of days. The fee in question is believed to be around €13m (£11m) and the transfer comes after Dortmund sporting director Michael Zorc had told German football magazine Kicker: “We are very far with negotiations for Aubameyang. He is a very fast, prolific player. He is also versatile so he can adapt to our game. Aubameyang had tweeted on Tuesday afternoon that he was flying from Barcelona to an unspecified destination which is now clear was a certain airport in North Rhine-Westphalia, before passing a medical at Signal Iduna Park and signing a contract which ties him to BVB until 2018. The 23 year-old was one of the star players of Ligue 1 last season; his 19 goals for Les Verts bettered only by Zlatan Ibrahimovic, while 8 assists also contributed to Etienne’s fantastic season as they finished 5th and won their first major trophy in over 30 years with a Coupe de la Ligue triumph. Aubameyang, who started his career at AC Milan, is capable of playing as both a striker and right winger and following loan spells with Dijon, Lille and Monaco the Gabonese finally found his feet with Etienne. 87 games and 37 goals later, he looks set to the fill void left at Dortmund by the departed Mario Götze, and is set to take the number 7 shirt left by Stuttgart loanee Moritz Leitner. Since making his international debut in 2009, Aubameyang has scored 11 times in 32 games for Gabon, recently bagging a hat trick against Niger in World Cup qualifying last month. Dortmund are also confident that they can still secure the signing of in-demand Shakhtar Donetsk midfielder Henrikh Mkhitaryan, and have already brought in Werder Bremen defender Sokratis Papastathopoulos this summer.